It’s no secret that many industrial companies are working with old, outdated equipment. But in many cases, you’re not really saving money by not replacing old models; in fact, in can cost you in the long run as you have to deal with unplanned shutdowns due to malfunctions. 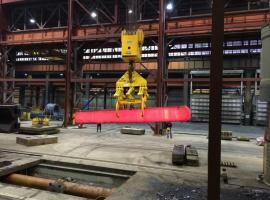 For metal processing facilities, one important piece of equipment is a hydraulic sheet lifter. 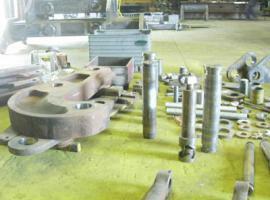 But there are a few things plant operators need to be aware of before making an order. 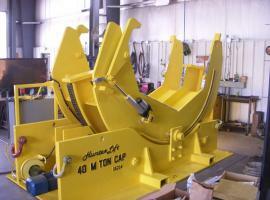 Here, we’ve outlined a few questions you’ll need to answer when choosing a sheet metal lifter. What is your load requirement? The last thing you want is to order an expensive piece of equipment only to learn that it can’t support the amount of weight you require. Take stock of the types of jobs you’re performing now, and consider if you’d like to expand your capabilities or increase efficiency by accommodating heavier loads. What are your sheet metal lengths? Some metal processing plants only work with a specific length of sheet metal. Others have a wide degree of variability in sheet lengths. If this is the case, you may need a few sets of sheet lifter support sections that can be changed out on the fly to fit different jobs. This is very important to know so that you can include this in your initial order. When will you need this equipment online? Set realistic expectations for delivery. This is a heavy piece of highly engineered equipment that must undergo extensive design, building, and testing before it can be delivered. For this reason, it’s important to start the buying process before you actually need it – because by the time something breaks down, you’re looking at months of downtime while you wait for a replacement. Once you’re able to determine the full scope of your project, you can work with a custom material handling equipment manufacturer to design your sheet lifter. 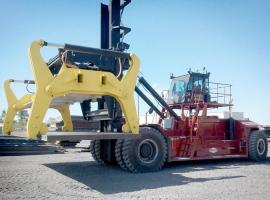 Hunter Lift is an ISO 9001:2008 certified manufacturer of lifting devices and mobile crane attachments. Our engineers will work with you every step of the way to determine your needs, answer any questions, and build the right product for your job. If you’d like more information, feel free to contact us through our website or call 1-800-231-6501.